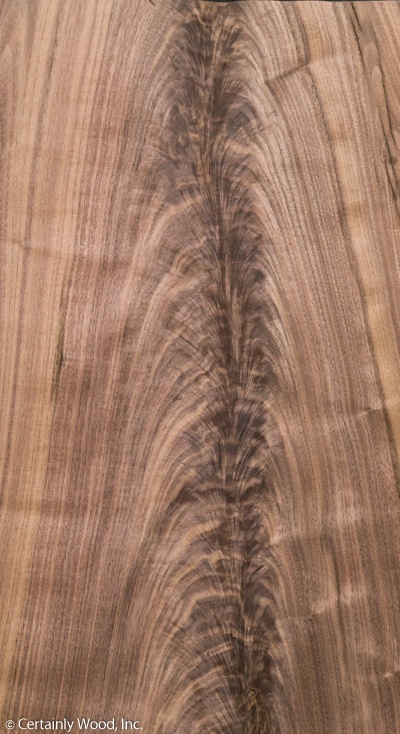 Crotch grain patterns occur within trees where tree trunks branch in two. These are interesting grain patterns that are well suited to panels within cabinet doors. In some cases, they can be matched within tabletops as shown in the examples below. This buffet uses mahogany crotch grain within the door panels. Another example is this display case, using mahogany crotch grain within the door panels. The tabletop of the Alton Coffee Table uses crotch makore in a 6-sector pie match grain pattern.